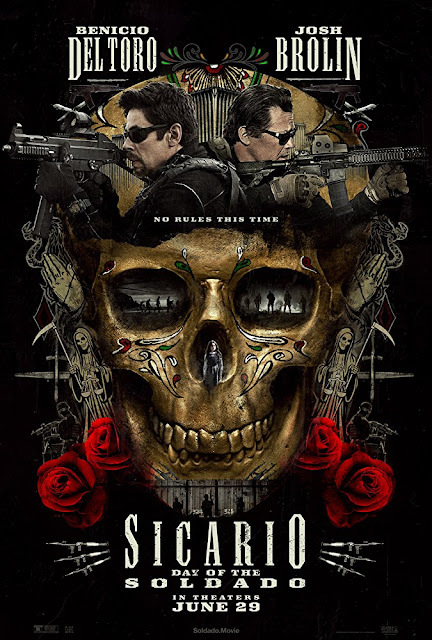 Movie: "Sicario: Day of the Soldado"
When the government classifies drug cartels as terrorist organizations, it gives the green light to a secret mission meant to start a war between the two biggest cartels in Mexico by kidnapping the daughter of one of the cartel leaders and blaming on their rival. Things don't go as smoothly as expected. "Sicario: Day of the Soldado" couldn't have had worse timing if it tried. That being said, bad timing doesn't necessarily equal bad movie. 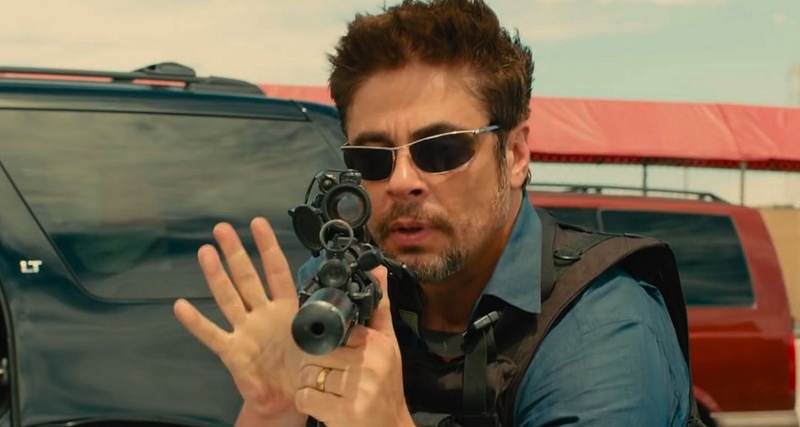 This is the sequel to "Sicario," which was one of our favorite films of 2015. This time around, the movie is directed by Stefano Sollima, who doesn't quite have the following or critical acclaim as Denis Villeneuve, the man who directed the original. Taylor Sheridan returns to write the screenplay. 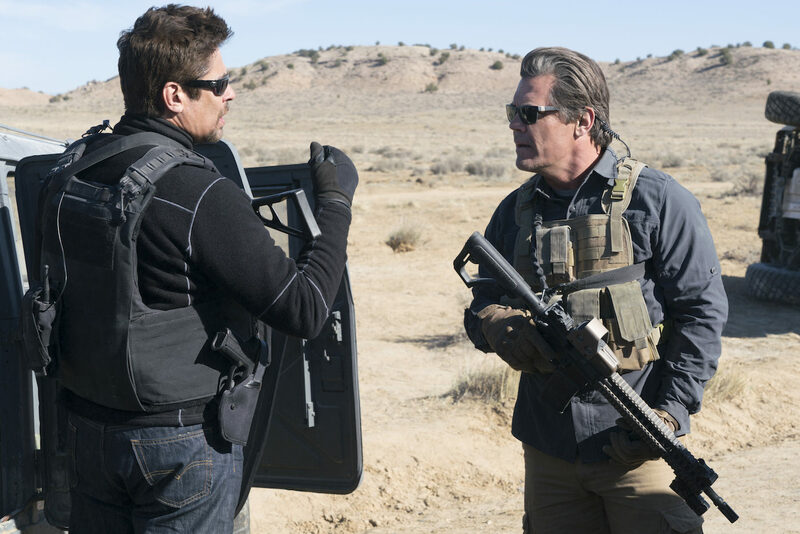 Besides the original "Sicario," he also penned some other fabulous films like "Hell or High Water" and "Wind River." 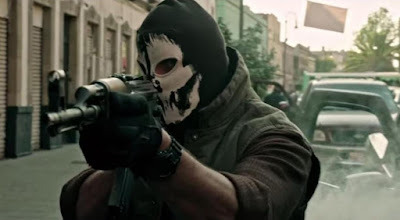 After a terrorist bombing on U.S. soil, government agent Matt Graver (Josh Brolin) discovers that one of the terrorists was smuggled through Mexico from Yemen by the drug cartels, who now also work in human trafficking. This causes the government to classify the cartels as "terrorist organizations," giving Graver legal leeway on what he is allowed to do to combat them. Graver reunites with lawyer-turned-sicario Alejandro (Benicio Del Toro) to start a war between two major cartels by kidnapping Isabel Reyes (Isabela Moner), the daughter of Reyes cartel kingpin, and blame it on retaliation from the rival Matamoros cartel for the assassination of their top lawyer, which was also committed by Graver and his men. Something happens within the first five minutes of "Sicario: Day of the Soldado" that will immediately put some viewers off of the rest of the movie and will cause them to be done with it before it even gets going. For those who continue to watch and follow the story until the movie's end, you'll realize that not everything is so black and white. Many actions taken by the government don't turn out the way those involved expected. Taylor Sheridan's specialty is working in shady, seedy gray areas of a world that doesn't have any real heroes, just morally compromised people working with different agendas in mind. This film takes a look at the ugly, exploitative business of human trafficking. "Coyotes" exploit migrant workers and treat them like animals. Even if these migrants make it across the border, they don't get treated much better here. It may be a bit cynical, but there is a lot of truth to this as depressing as it is. It is that underlying truth, and an unflinching look at a real problem, that makes "Day of the Soldado" as engaging as it is. We will admit that the story has a lot of moving parts, and it can get pretty complicated at times. I had a bit of trouble following all of the various elements and motivations that eventually come together and fit nicely within the greater narrative that's being told. Be aware this movie is extremely violent at times, and we mean gratuitously, graphically violent. As twisted as this sounds, it can also be exciting at the same time. The third act is intense as hell. It will put you on the edge of your seat and keep you there until the credits roll. Josh Brolin, Benicio Del Toro, Catherine Keener, and Isabela Moner are all excellent in this movie. As we mentioned earlier, it is difficult to relate to a movie where every character is flawed. None of them are good people. We didn't leave the theater after "Sicario: Day of the Soldado" with a sense of how awesome our government is. We left seeing the messed up things they do in the name of security. We watch them lie and contort the truth to fit their ever-changing narrative when things blow up in their face. We left this movie feeling sorry for all of the honest migrant workers who are simply searching for a better life, only to get caught up in a situation where they are being exploited and treated like they are less than human. This film will divide audiences, and that's the nature of an untimely beast like this. We "enjoyed" this movie and we found ourselves very much anticipating the conclusion of this trilogy, but it is very much a hard pill to swallow thematically speaking. **Did you know we have a podcast? 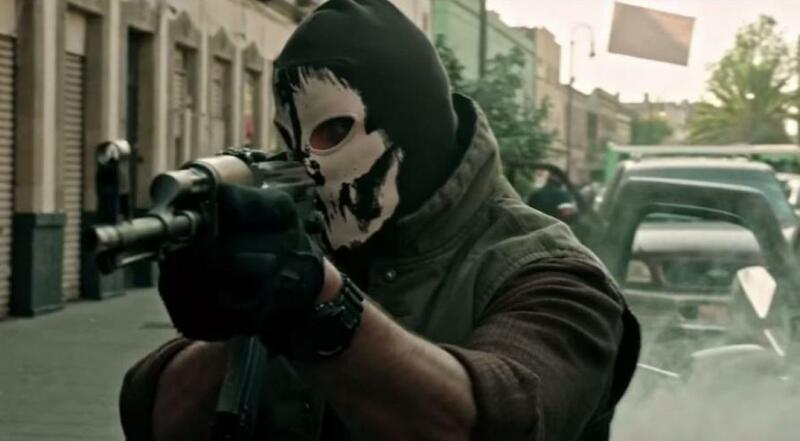 Check out the episode where we discuss "Sicario: Day of the Soldado" right here! Our review starts at 40:01!